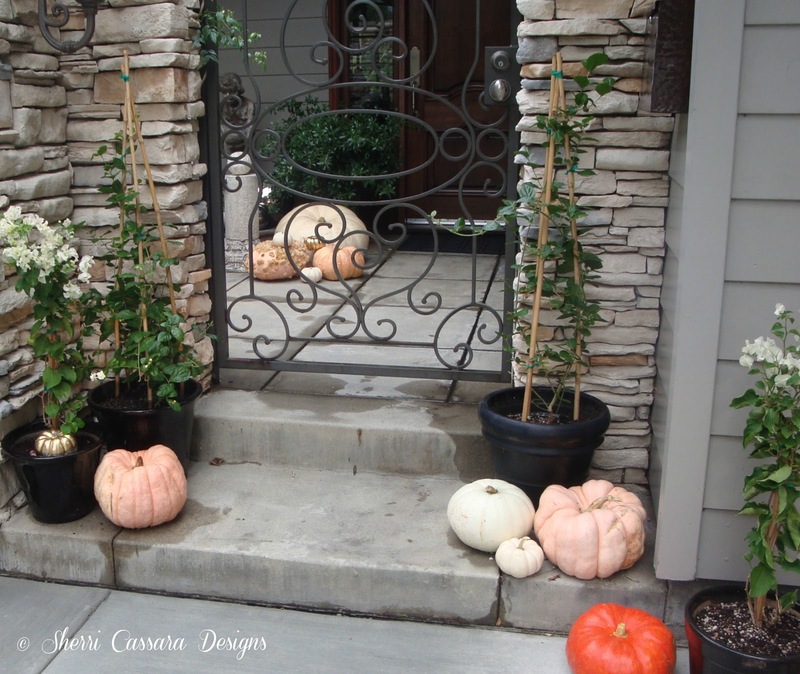 Sherri Cassara Designs: Got pumpkins? My sister came along and we filled up my car (no, they are not all mine). My favorite are the ones with the "warts" all over them! 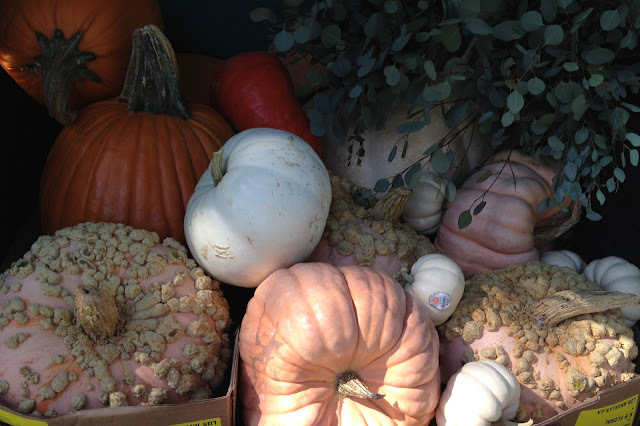 I researched them and the warty pumpkins are called "peanut pumpkins" and are originally from France. The real name for them is Brodé Galeux D’Eysines and I heard they are excellent for making pies. That is probably not going to happen over here anytime soon (making pies) ... I am still waiting for my new range (a long story). 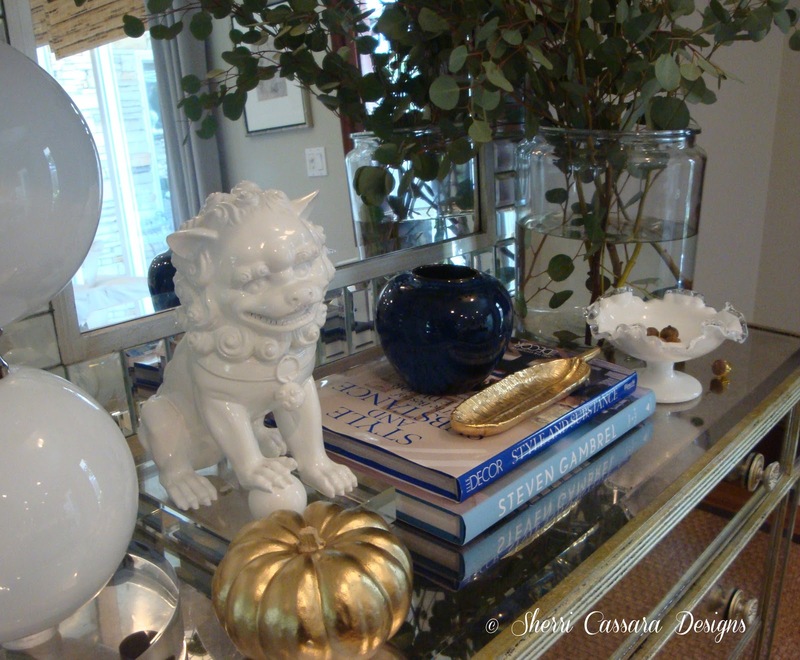 And spray-painted a couple of the pumpkins gold. 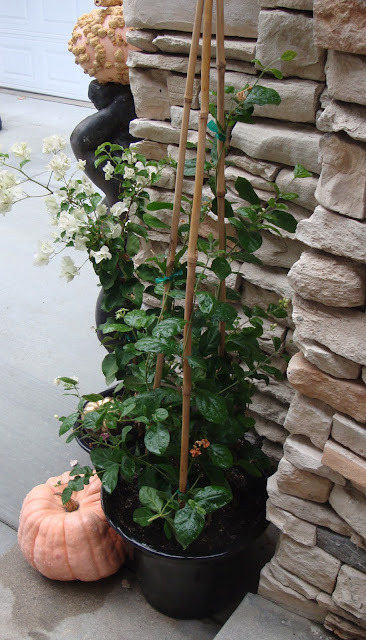 I hadn't planted any flowers all summer long trying to conserve water and my entry was getting a little tired looking ... the new plants and pumpkins give it a nice little lift! And how lovely that the evening after I planted we got our first rainfall! 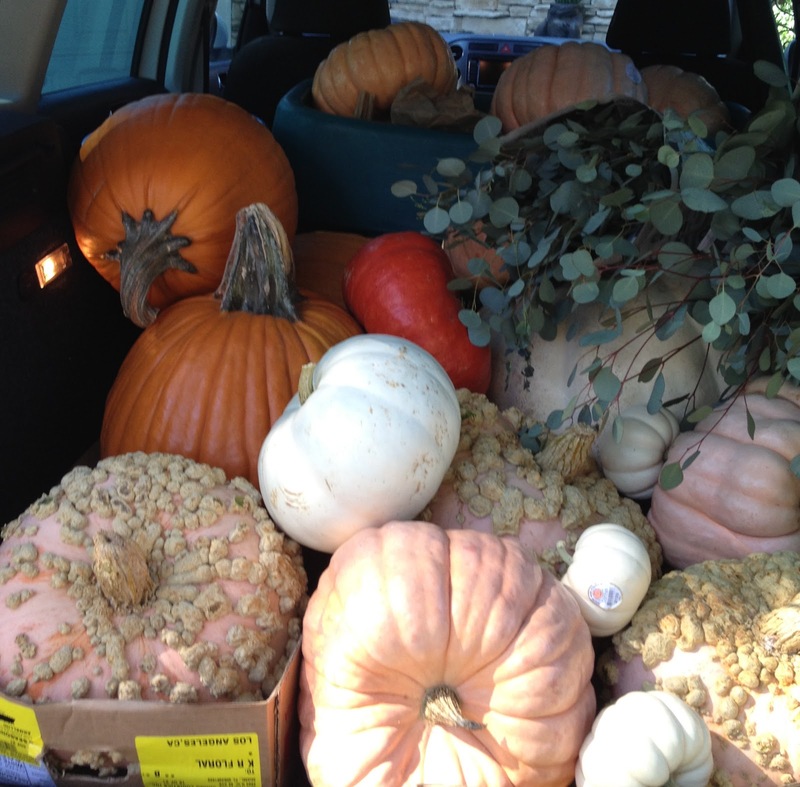 I brought a few of the pumpkins inside too. I'm feeling a little more "in season"! Since I really hated the tangerine color the little pumpkin gourds were I painted them gold also. 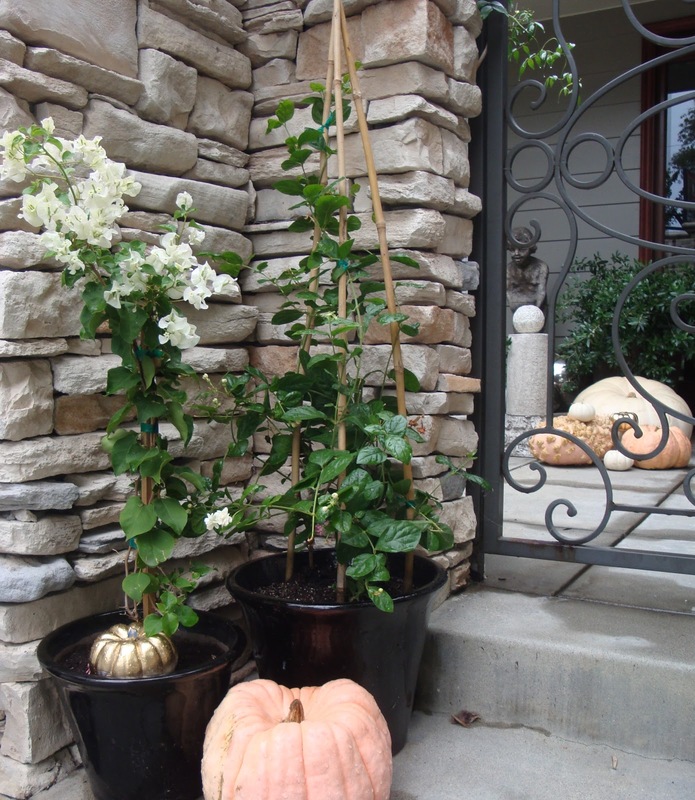 My favorite pumpkins are the Cinderella pumpkins. They look wonderful.